SpinnVäxa was inclusive dance groups for children, youth and adults with and without disabilities. Between 2014-2018, the education project SpinnVäxa was run in collaboration with Studieförbundet Bilda and funded by Allmänna Arvsfonden. 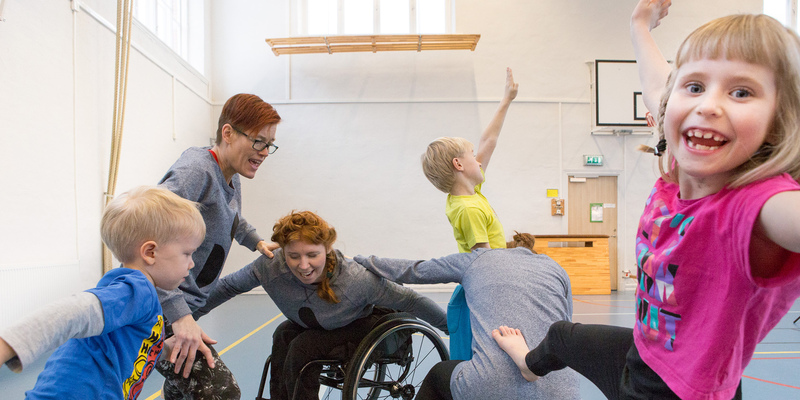 Since spring 2018, the work with inclusive dance classes for children, youth and adults is run by Dansutbildningen Språng and the collaboration with Danskompaniet Spinn will continue in various forms. The work with SpinnVäxa was done in collaboration with Studieförbundet Bilda and is funded by Allmänna Arvsfonden. Since spring 2018, the work with inclusive dance classes for children, youth and adults is run by Dansutbildningen Språng.